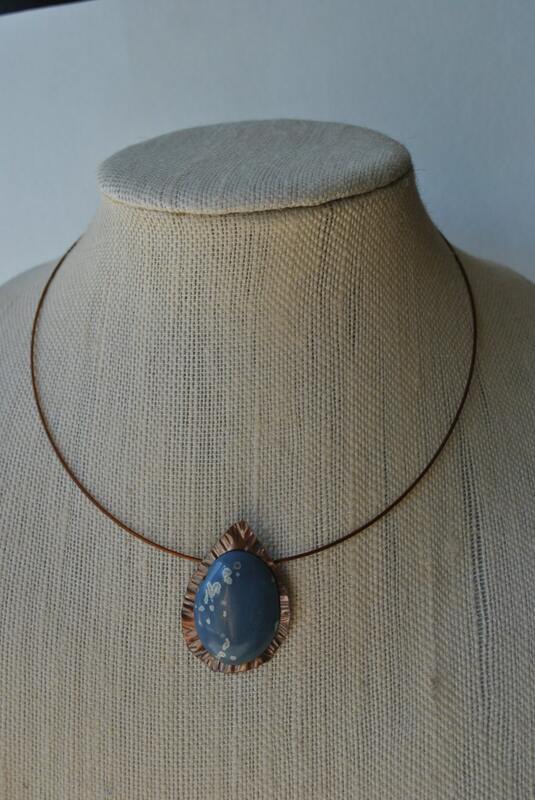 Beautiful Leland Blue stone has been mounted on a handcrafted copper pendant. The pendant has been cut from sheet metal, hammered for texture, oxidized, and tumbled for polish. 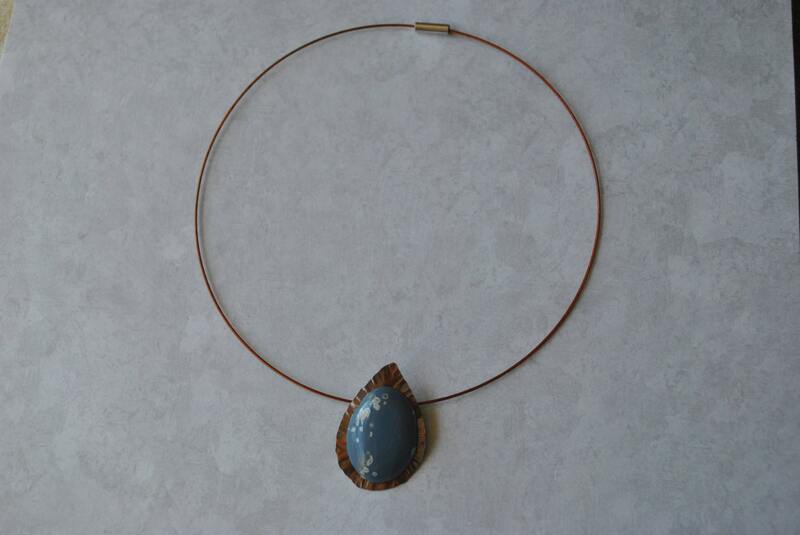 A copper bail has been soldered on the back to hold the copper colored choker wire. The choker is vinyl coated wire with a magnetic clasp. Very lightweight and comfortable to wear, a stunning piece. 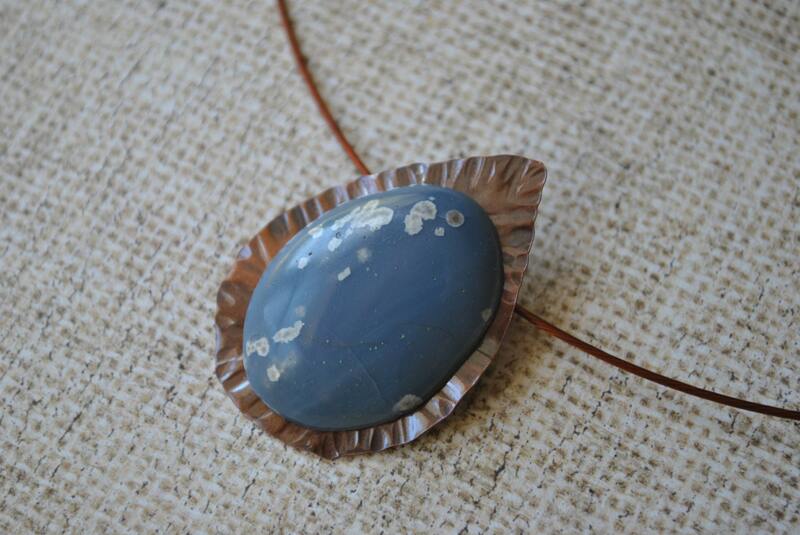 Leland Blue stones were created through the process of making iron from iron ore. In the late 19th century, iron ore was carried from Escanaba, MI to Leland, MI on large schooners and steamers to deposit their load at the Leland Lake Superior Iron Company. During the hot process to melt the iron ore a lot of waste would come to the top which then was discarded as slag into the lake and on the beaches. That slag is now found as beautiful Leland Blue stones.